Home › Fantasy › Top 10 Fantasy Novels of 2017? 10. Staked by Kevin Hearne — In the 8th book of the Iron Druid Chronicles, Atticus must stop his nemesis, the vampire Theophilus, but he may have to do it alone. His archdruid friend Owen Kennedy has run afoul of Trolls, and his protégé Granuaile is on the run from the Norse god, Loki. 9. Silence Fallen by Patricia Briggs — In the series’ 10th book, coyote shapeshifter Mercy Thompson is abducted by a powerful vampire. She escapes only to find herself alone in Prague where she must find new allies and avoid beginning a war between vampires and werewolves. 8. 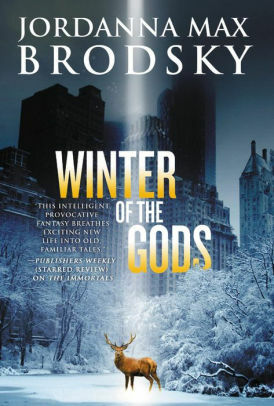 Winter of the Gods by Jordanna Max Brodsky — Winter has come to New York City and with it a dead body is discovered atop the iconic Wall Street Charging Bull statue. Selene DiSilva, once known as the goddess Artemis, must hunt down the perpetrators who may threaten the gods’ very existence. The author’s debut novel, The Immortals, and the first in this series, appeared on last year’s list. 7. A City Dreaming by Daniel Polansky — “A powerful magician returns to New York City and reluctantly finds himself in the middle of a war between the city’s two most powerful witches.” He must end the power struggle between the White Queen of Manhattan and the Red Queen of Brooklyn before they destroy the city. 6. Lost Gods by Brom — Ex-con Chet must journey into the bowels of purgatory to save the lives (and souls) of his wife and unborn child. In the process, he becomes involved in a dangerous game risking damnation. A contemporary take of netherworld journeys such as Dante’s Inferno and the tale of Orpheus and Eurydice. 5. Supernatural: Mythmaker by Tim Waggoner — A talented artist’s creations come to life in the real world and begin to seek worshipers in a battle for godhood. It’s up to brothers Sam and Dean Winchester to end the conflict before a town’s destroyed. Published in 2016, this book is the 14th title in a series of tie-in novels of the long-running CW series, Supernatural. 4. Supernatural: Cold Fire by John Passarella — Monster hunters Sam and Dean Winchester are joined by the angel Castiel to find a killer leaving behind eyeless corpses. Published in 2016, this book is the 13th title in a series of tie-in novels of the long-running CW series, Supernatural. 3. The Last Days of New Paris by China Miéville — A “what if” thriller combining true historical events and people with a reconfigured history. American engineer Jack Parsons stumbles onto a clandestine group, including a Surrealist theorist, and unwittingly unleashes a nightmare world where Nazis and Resistance fighters are locked in an endless loop of fighting. Imagine a world where Surrealist art merges with our reality. 2. Supernatural: Fresh Meat by Alice Henderson — Though originally published in 2013, this tie-in novel was a new acquisition to the library in 2017 and proved as popular as Supernatural, the series it’s based on. Monster attacks in Tahoe National Forest bring brothers Sam and Dean Winchester to the area to find a mysterious flying creature that can assume a human form. Author Henderson has written for Star Wars video games and Buffy the Vampire Slayer novels. 1. 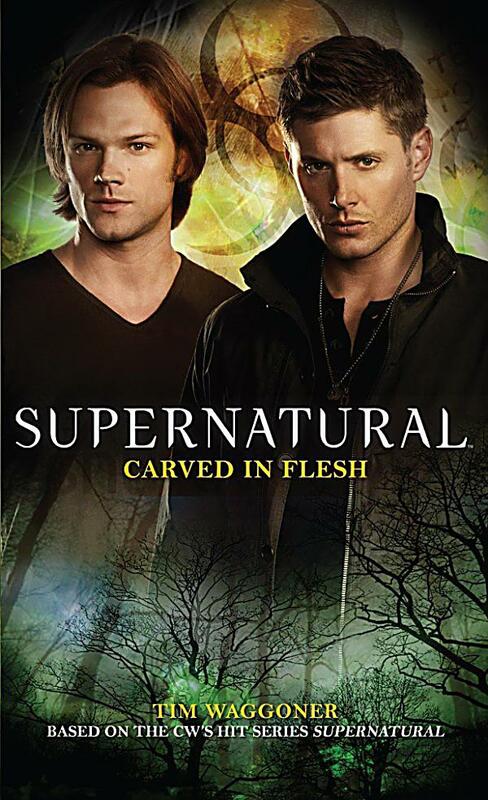 Supernatural: Carved in Flesh by Tim Waggoner — Supernatural reigns supreme with another 2013 tie-in title that was new to the library in 2017. Monster hunters Sam and Dean Winchester investigate sightings of a hellish hound that turns out to be a “Frankenmutt.” Author Waggoner has written several tie-in fiction novels for popular TV shows like Supernatural, including Grimm, Doctor Who and The X-Files. Reviewing 2017’s most popular fantasies was certainly surprising. Not only were prolific authors like Jim Butcher, Mercedes Lackey, Terry Brooks, Terry Goodkind, and Robin Hobb missing, the list was dominated by contemporary urban fantasy novels and TV series tie-ins. Supernatural, starring Jensen Ackles and Jared Padalecki, premiered on the CW network in 2005 and is currently in its 13th season. The first of over a dozen tie-in novels, Nevermore by Keith R.A. DeCandido, was released in 2007. And four of the six titles owned by the library ranked on 2017’s most read list! Will they repeat in 2018? One title I do expect to see on 2018’s list is the third book in Jordanna Max Brodsky’s series, Olympus Unbound, due out in February. As for other predictions, who knows! The Top 10 fantasy picks have been varied as evidenced by 2016’s list, 2015’s list, and 2014’s list. « Top 10 Mysteries of 2017?